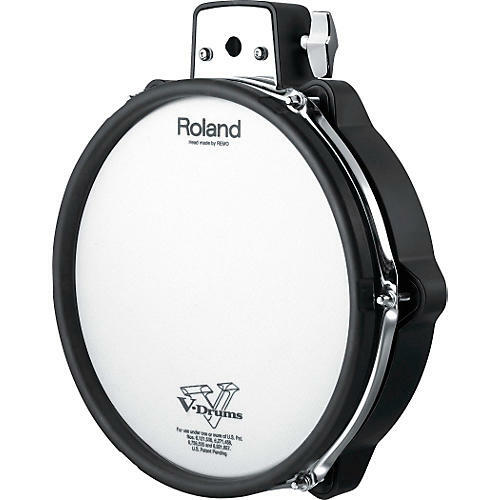 The PDX-100 V-Pad from Roland is a 10" mesh head designed as a tom pad for the TD-30K electronic drum set. It features dual triggers on the head and rim for enhanced dynamics and rim-shot depth. The drum pad also includes a two-way mount holder that enables vertical or horizontal mounting on a Roland MDS series stand or available pipe tom stand. Acceptable rod diameters: 3/8" to 9/16"